There were many reasons why Ky turned to gambling. 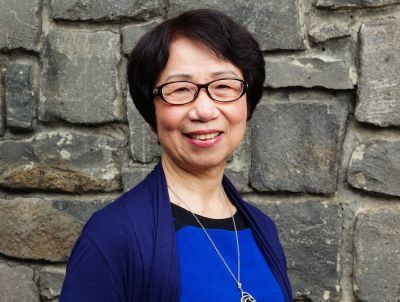 Looking back, she can see the chain of events: her escape from Vietnam by boat to Malaysia, her two years in a refugee camp, her arrival in Australia in 1991, adjusting to a new life in Melbourne as a single mum, and working in a factory to make ends meet. Ky was struck by the loneliness and isolation of suburban life, compounded by the absence of family who had remained in Vietnam. Ky’s spirits were lifted when she met another Vietnamese single mum. Their rapport was instant. Her new friend seemed happy. She invited Ky to the casino, for what she called an evening of fun. Ky revelled in the companionship and her early wins. Inevitably, came the losses and the downward spiral into debt – the erosion of her savings, the sale of jewellery and borrowing money at exorbitant rates to support her habit. ‘Tomorrow you’ll be lucky,’ Ky’s friend kept assuring her. She invited Ky to the casino, for what she called an evening of fun. It was a phone call from her mother in Vietnam that turned it around. She urgently needed money for medicine. Ky decided she had to quit gambling immediately. She had to cut off her friendship and learn anew how to stand on her own feet. When Ky heard of the Australian Vietnamese Women’s Association project to raise awareness of gambling in the community through theatre, she jumped at the chance to share her experiences. Ky attended workshops run by community theatre director Catherine Simmonds from the Three sides of the coin project, an initiative of Link Health and Community. Ky was joined by P, who also understood, from personal experience, the complexities of gambling and the impact it can have on Vietnamese families. The theatre component of the association’s ‘Don’t bet your life’ program was initiated in 2016 by project officer Hoa Phan, and funded by the Victorian Responsible Gambling Foundation. Hoa called for participants in Vietnamese newspapers and on SBS radio’s Vietnamese program. The play is performed in Vietnamese and Catherine ran the workshops with project staff assisting as interpreters. She listened intently to what the participants said, then scripted the story with them. 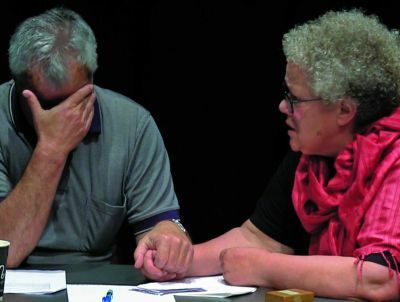 The power of the play was obvious at the first performance in November last year in West Footscray. The reaction was even stronger at the second performance, in the St Albans Community Centre. The process has also affected the performers. ‘Eventually, the first group will become mentors for other groups,’ says Simmonds. More performances are scheduled in coming months. Researcher Hai Doan talks about what we don't know about Vietnamese-Australian women's experience of gambling harm in this edition of Inside gambling. If you are experiencing problems with gambling, or someone close to you has a problem, call Gambler's Help on 1800 858 858. You can ask to be referred to someone who can help you in Vietnamese. You can telephone the Australian Vietnamese Women’s Association on (03) 9428 9078 to talk to someone in Vietnamese or email info@avwa.org.au. You can also telephone the Springvale Indo-Chinese Mutual Assistance Association on (03) 9547 6161 to talk to someone in Vietnamese or email sicmaa.bh@bigpond.com. Arnold Zable is a Melbourne novelist, writer, and freelance journalist, and has conducted writing workshops for people experiencing gambling problems.